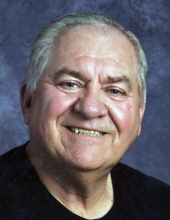 Daniel Earl “Dan” Sink, 73, of Waterloo, died Tuesday, January 15, at home. He was born September 9, 1945, in Waterloo, the son of Clyde and Marcella Miller Sink. He married Linda Lenz on October 1, 1966, at St. John’s Catholic Church, Waterloo and she preceded him in death on July 8, 2008. Dan served in the United States Navy and became a Sergeant with the Cedar Falls Police Department, retiring in 2000. Following retirement, he became the manager of the Catholic Cemeteries in Waterloo and worked at St. Edward School and Orchard Hill School. Survivors include: two sons, Steve (Lora) Sink of Cedar Falls and Dan (Carrie) Sink of Edina, Minn; four daughters, Kristin (Chris) Olmstead, Teresa (Ben) Barnett, Molly (Craig) Skilling, and Anna (Mike) Lind all of Waterloo; twenty-one grandchildren and a great-grandchild; three brothers, David Sink of Waterloo; Tom (Karen) Sink of Cedar Falls, and Joe (Mary) Sink of Raymond; six sisters, Susan (Dave) Douglas of Bella Vista, Ark, Carol (Bob) Goodrich of Hayword, Wis, Kathy (Ray) Moore of Waterloo, Barb (Jim) Burns of Waterloo, Betsy (Dan) McDougall of Dunkerton, Jody (Jim) Sessions of Yuma, Ariz. And a special friend, Connie Broell of Waterloo. Preceded in death by: his parents, a brother, Jim Sink; a sister-in-law, Carol Bott. Services: 10:30 a.m. Monday, January 21, at Blessed Sacrament Catholic Church with inurnment at Mt. Olivet Cemetery. Full military rites will be conducted at the church by the Waterloo Amvets Post 19 and Evansdale Amvets Post 31, assisted by the Naval Honor Guard. Public visitation from 3-7 p.m. Sunday, January 20, at the church. There will not be visitation one hour prior to services Monday. Hagarty-Waychoff-Grarup Funeral Service on South Street is in charge of arrangements. Memorials: may be directed to Columbus Catholic High School or Cedar Valley Hospice. To send flowers or a remembrance gift to the family of Daniel Earl "Dan" Sink, please visit our Tribute Store. There will not be visitation one hour prior to services on Monday. "Email Address" would like to share the life celebration of Daniel Earl "Dan" Sink. Click on the "link" to go to share a favorite memory or leave a condolence message for the family.